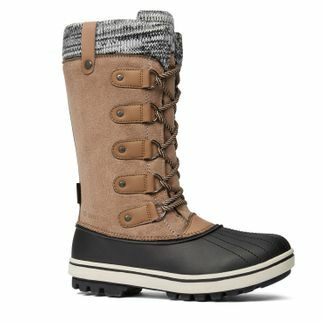 This Women’s Banff Trail Ziliwia Boot is on sale for only $77.98 (originally $129.99) as part of the up to 40% off winter boots deal. You save $52.01! That’s 40%! This Banff Trail winter boot provides all the comfort and traction you need on those snowy winter days! Mid Boots. Round toe. Flat heel. Lace-up. Waterproof. GLOBO Shoes is offering free shipping on orders of $65+. Click here to view GLOBO’s latest flyers. Click here to start shopping at GLOBO Shoes Canada!